Very centrally located residence on Lake Maggiore. This small complex with only 12 apartments makes an ideal starting point for lovely walks along the enchanting Lago Maggiore or other trips in the area. 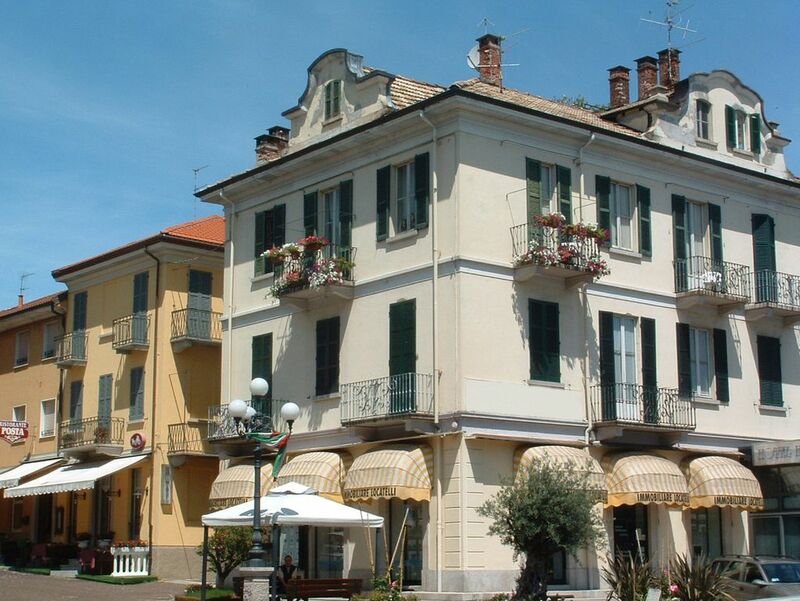 'Holiday' is located in the heart of the typical Italian town of Baveno. Approximately 400 meters away lies a small beach. In the vicinity you will find pleasant restaurants and cozy cafes. The embarkation point for the boat to the world famous Borromeo Islands is only 50 meters from the complex, so you should certainly not let this opportunity pass you by! This apartment is simple but nicely arranged. On the roof of the building there is a common sun terrace with loungers from where you have a beautiful view. These "monolocale" apartments are suitable for two persons and have a total area of approximately 25 m² which contains a living / sleeping room with dining area, a double bed, (satellite) TV and safe. There is a kitchen with a 2-burner gas cooker and refrigerator. The bathroom has a shower and toilet. The residence has an elevator. Just 50 meters from the accommodation there is a free parking lot, but there are also other possibilities for parking nearby. Arrival: from 16.00 to 19.00. This area boasts one of the greatest lakes in Italy, Lake Maggiore, which lies partly in Switzerland. The whole area was inhabited very early because of its convenient location, linking several other European countries. Lago Maggiore contains several villages, including the port town of Verbania where many tourists come to visit the botanical gardens around Villa Taranto. Other places of interest include Stresa, with a large boulevard, and the ancient Baveno, with buildings dating back to the 10th century. The Borromeïosche Islands of Isola Bella, Isola Madre and Isola dei Pescatori are very special and are accessible by ferry. Lombardy has low hills, a variety of streams, rocks and sandy beaches. Towards the interior the landscape turns into a green forest.